Located in stunning Boulder County Colorado, sits the beautiful facilities of Greenwood Wildlife Rehabilitation Center. Since 1982, Greenwood has been one of the largest wildlife rehabilitation centers along Colorado’s Front Range. Each year, Greenwood cares for over 3,400 animals which represents over 200 species. Between wildlife rehabilitators and veterinarians, these animals receive the highest quality care in hope of someday returning to the wild where they belong. Advanced Remarketing Services has partnered with Greenwood Wildlife to turn your car donation into charity dollars for Greenwood’s rehabilitation center. Reach out to Advanced Remarketing Services today and donate your car to the charity of your choice. Once after all, that old junk car of yours will finally be put to good use as a car donation! Along with Greenwood’s world-class rehabilitation center, they also offer wildlife educational programs, animal sponsorship’s, and run a thrift store. The wildlife educational programs are designed to be entertaining and educating for preschoolers all the way to senior citizens. Each program is tailored to fit it’s audience and explain what Greenwood does, who they treat, and how to help. Sponsoring an animal is a great way to help foster that animal back to health. When an animal becomes sponsored, their food, medicine, and caging is all covered by their sponsor. Sponsorship’s are a great resources for animal care centers because they eliminate the financial burden of rehabilitation and being able to meet each animals needs. Rather than worrying about cost, Greenwood is able to focus entirely on giving these animals the attention and care they need. The thrift store that Greenwood owns and operates sells everything from clothing, home decor, art, music, books and furniture. What makes their thrift store unique is that every dollar made goes right back into the rehabilitation center. 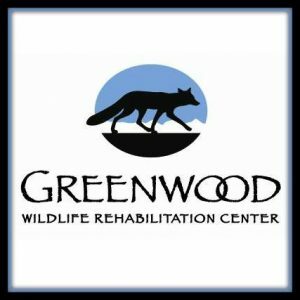 It’s uncommon to find a wildlife rehab center that’s as professional, successful, and caring as Greenwood. Are you looking to donate your car? It’s a great time to call Advanced Remarketing Services and begin the simple process of donating a car to charity. Greenwood Wildlife Rehabilitation Center will be happy to accept any car donation and use it to help nurse the Colorado wildlife back to health. Greenwood thanks you for your support and we at Advanced Remarketing Services are looking forward to helping you with your car donation.